The wardens recently met at a conference for wildlife management, and realized how they have all noticed a buildup of visitors at the entry points of their respective hunting reserves. Due to frequent requests from hunters and to encourage full exploration of the reserves, the wardens have approved the use of All Terrain Vehicles (ATVs) within them – but strictly as a mode of transportation. 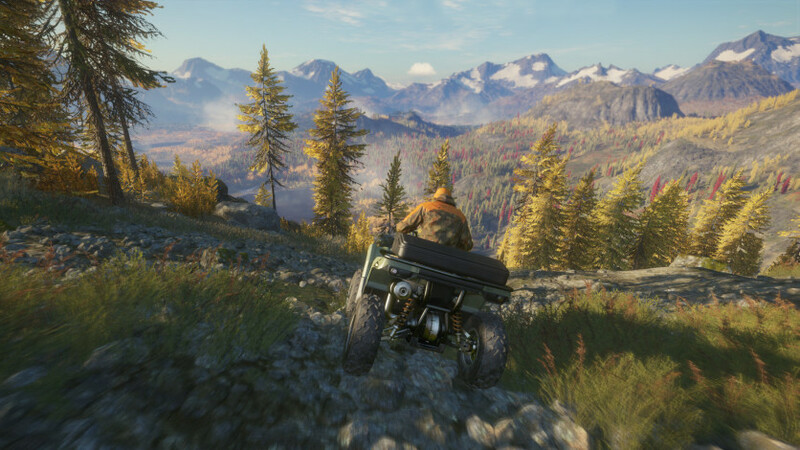 Using the ATV, hunters and hikers alike will be able to discover more of the hidden beauty lying in wait - and have a great time doing it! SABER 4X4: The SABER 4X4 gives you the ability to traverse rough terrain with unmatched comfort and style. Experience the rush as it takes you across fields, bogs and hills at breakneck speeds. 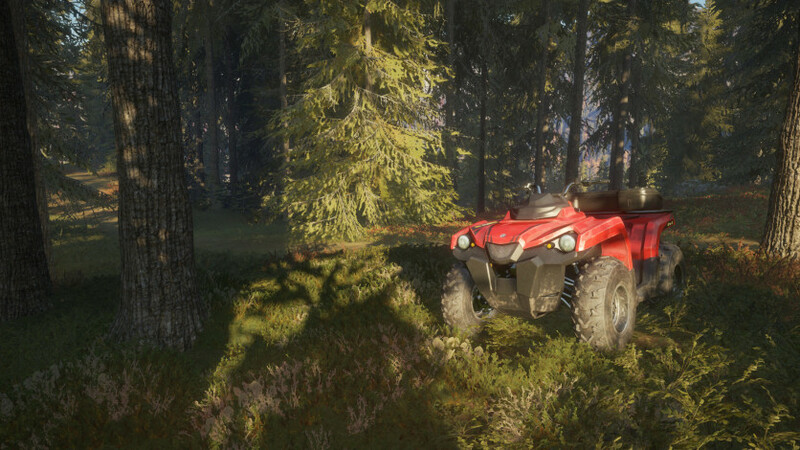 This ATV is great for exploring and traveling through the reserves in a fast and fun way. The SABER 4X4 can be spawned for free at any outpost or tent. 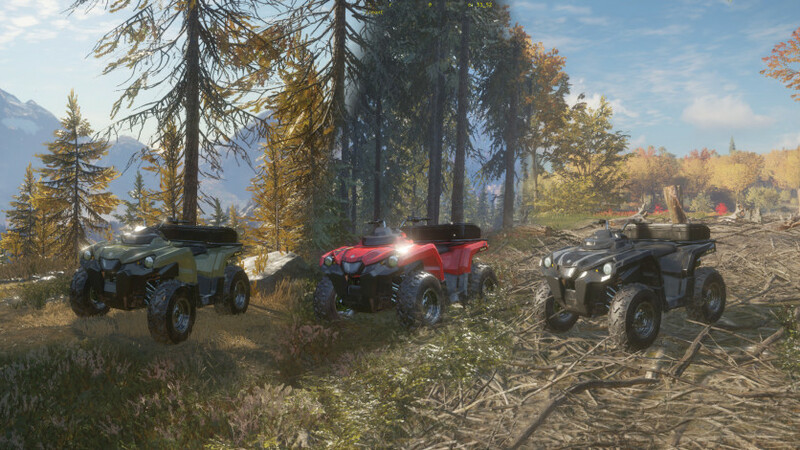 Sharing the SABER 4X4 As owner of this DLC, you can easily share the all-terrain experience with your friends in multiplayer. Hosting or joining a game will allow all participants to spawn and drive vehicles. Everyone can explore the hunting reserve together or for themselves, all thanks to you. Once all DLC owners have left the multiplayer session, no new vehicles can be spawned, but remaining vehicles will stay available for the duration of the multiplayer session.. Steering the SABER 4X4 Whether you want to fully immerse yourself, driving in 1st person or rather have the complete overview of your surroundings in 3rd person, the SABER 4X4 is the vehicle for you. You can change the camera position with the press of a button (default: “C”) which will be saved for your future rides. 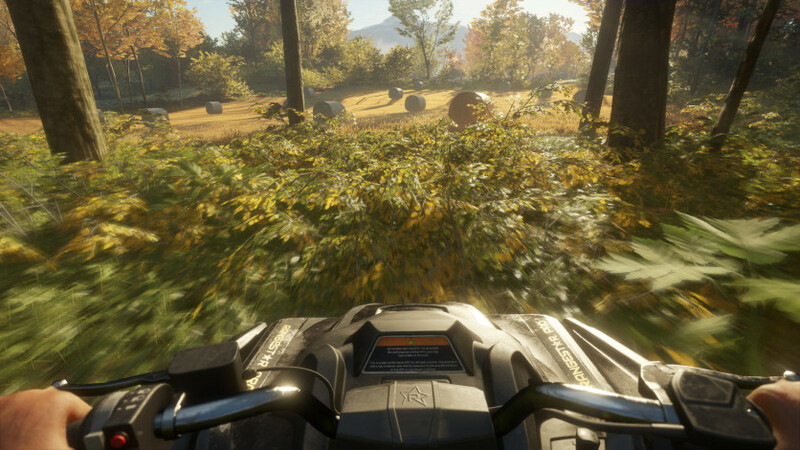 Show off your ATV from all angles using 3rd person or share your driving expertise from 1st person. We can’t wait to see your results! Jade, Crimson & Charcoal: The SABER 4X4 comes with three different color variations, Jade, Crimson and Charcoal. Every hunter can have one active vehicle at a time with no cost for retrieving or respawning. Rather go out with your crimson ATV today? It’s all up to you.